Two types of prints are available “Open Edition” and “Collectors Edition” and these can be found in their respective Galleries in the Print Gallery section, see their definitions below. 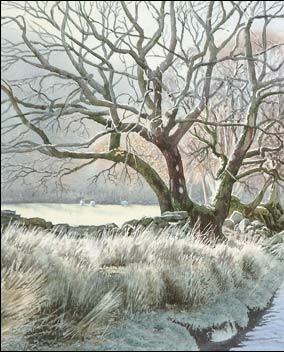 All the prints, are printed the same or very close to the original size of the watercolour paintings. However, for those people who do not have the hanging space required for the larger prints, an alternative smaller size is available. Where a print has a limited edition size and there are two image sizes available, the edition size is for the total number of Fine Art Prints available. The Print Gallery shows each print with its image dimensions and edition size information. These are limited edition prints, but they have been reproduced in the form of Cards and Calendars, however, once the edition limit has been reached they will not be reproduced as Fine Art Prints again. Each print has been signed and numbered by the artist and comes complete with a Certificate of Authenticity which is also signed by the artist. As the name implies "Open Edition", prints are Fine Art Prints that will always be available as there is no limit to print quantities, they are however, still produced to the same high quality and standard as the Collectors Edition prints. Print Type: All the Fine Art Prints are Giclée prints printed to the same high quality regardless of whether they are “Open Edition“ or “Collectors Edition“. Paper: Each print is printed on a thick 315gsm Giclée Rough Textured archival museum quality paper. Inks: The Epson UltraChrome K3, which are pigment-based inks. Printer: The Epson K131A (Epson Stylus Pro 7800), a high quality professional 24 inch inkjet printer. Giclée (pronounced Jee Clay) has become a term that is associated with Fine Art Prints that have been printed using fade resistant archival inks on specially prepared paper or canvas substrates, using a high quality inkjet printer. These printers spray the inks in very fine droplets at resolutions of 1440dpi and above. The quality of prints produced using this method is extremely high both in terms of visual quality and light fastness with some tests showing a life expectancy of up to 100 to 200 years for some Giclée prints. These printers are based on the CMYK colour process but have multiple ink cartridges for variations of each colour i.e. Magenta and Light Magenta etc. this serves to increase the apparent resolution even higher and allows smoother gradient transitions. One of the main advantages of using this method of printing is that it enables artists to produce their own prints and thus have full control over the quality and appearance. It also means that the last print in an edition is exactly the same as the first print even when the prints are printed on demand rather than being printed in one continuous run. As the printers print directly from a computer, some artists have taken advantage of this feature allowing them to produce images directly on a computer that would be difficult or impossible to produce by hand. 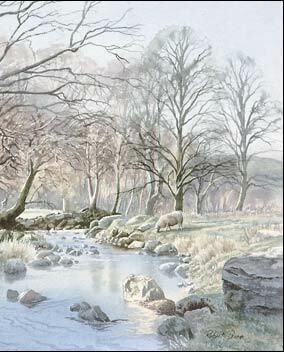 However, all the prints available on this website are produced from Robert Price’s original watercolours.